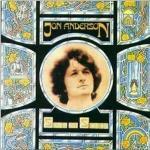 Evidently, Jon Anderson spent little time mourning his divorce from Yes, as he quickly started up both a solo career and a highly successful collaboration with Vangelis. The pair initially recorded together for the Greek musician's 1975 album, Heaven & Hell; and from there, their relationship grew, first with Anderson adding harp and vocals to a couple of records in Vangelis's prolific catalog of albums. Short Stories is the debut album by the duo, now billed as Jon & Vangelis. The reason for the album's success is simple: Mix Vangelis's easy-on-the-ears music with the ethereal voice of Anderson, and you have new age goodness all around. That's not to say everything here is total fluff. Vangelis is a master of electronic texture, and the album is a veritable palette for his style of composition and brand of sound: Just check out the opening bars of "Curious Electric" or "Far Away in Baagad." When the synthesizers are percolating and the energy is high, it's top shelf music. Of course, when Anderson's featured, as on "Each and Everyday," "Love Is" and "One More Time," his syrupy earnestness remains an acquired taste, but a potent one at that. 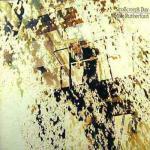 Nevertheless, the album thrived upon release, reaching No. 4 on the UK charts. A single, the curiously lilting "I Hear You Now" b/w "Thunder," also reached the UK Top 10, and later entered the US Top 100. Meanwhile, 1981 would see Vangelis reach his commercial zenith with the soundtrack to the film Chariots of Fire. A second collaboration with Anderson, The Friends of Mr Cairo, was released in July 1981 and found similar commercial and artistic success; but their third album, Private Collection, stalled, both musically and on the charts, effectively ending their partnership. Armed with a guitar and two Revox tape recorders, Robert Fripp embarked on a self-proclaimed "small, mobile and intelligent" tour of record stores, canteens and other small venues across Europe and North America, from April to August 1979. God Save The Queen/Under Heavy Manners was the first release made from recordings of that tour. The album's first side presents three tracks of pure Frippertronics: a method of performing with tape-loops that Fripp conceived with Brian Eno on their (No Pussyfooting) album for Island Records in 1973. The term was coined by lyricist Joanna Walton, Fripp's girlfriend in the late 70s. There's a certain beauty in the otherworldliness of the slow-building, somewhat hypnotic loops of delayed guitar. One might argue, "heard one, heard them all," but that would miss the point; Frippertronics were meant to be experienced in real time, as in active listening. 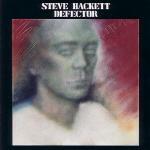 Anyway, the second side presents Discotronics, or Frippertronics augmented with a disco beat! Here, drummer Paul Duskin and bassist Busta Jones provide the rhythm, while Talking Head David Byrne (credited as Absalm el Habib) adds voice, including the memorable pronouncement "I am resplendent in divergence." The album also first outlines his Drive to 1981; Fripp used this stage of his career to challenge nearly every preconception, real or otherwise, of the music industry-from touring to business practices to audience interaction. Fripp next assembled a band with Barry Andrews on organ, Johnny Toobad on drums (eventually replaced by Kevin Wilkinson), and Sara Lee on bass. 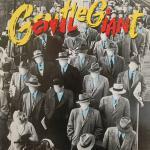 The "team" played a total of 77 gigs and recorded an album, 1981's The League of Gentlemen—a reference to Fripp's first band in Bournemouth in the 1960s. The self-proclaimed "new wave instrumental dance band" furthers his foray into dance music, and provides a crucial link to what would come later. 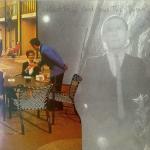 Fripp then released a second album of Frippertronics, entitled Let The Power Fall. However, this burst of solo work would ultimately grind to a halt; with the Drive to 1981 complete, he transitioned to the Incline to 1984. By 1981, Fripp had returned to the UK to start his next venture, capping a brief but interesting period of activity. 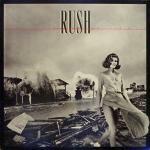 For Permanent Waves, Rush was back in Canada with producer Terry Brown. They assembled at Le Studio in Quebec where the band would continue to record for the next 15 years. The album was written and recorded over the summer of 1979, and the band was back on the road before the album was even released. The record contains six tracks, marking a return to shorter, less epic pieces. "The Spirit of the Radio" opens with a killer guitar riff; and somewhat controversially, drops into a reggae beat for a few bars before Alex Lifeson's guitar solo kicks in. Released as a single, it reached No. 13 in the UK—Rush's highest placement to date. 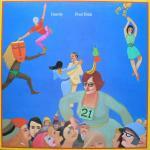 Featuring another of Lifeson's blistering solos, "Freewill" earned substantial radio airplay. Neil Peart's lyrics are perhaps the key to the band's new success: Gone are didacts, constellations, etc. and present instead are Peart's deep expositions on life. It's a significant change, as important to Rush's radio-friendliness as the shortened length of their songs: Fans could relate to Peart's words. As "Jacob's Ladder" ticks away, there's a little nod to the Rush of the previous two albums; it's a multi-part suite, with Geddy Lee's keyboards prominently featured. The second side opens with the rocking "Entre Nous." Lifeson's rhythm guitar during the verses portents a slight change in his style that would be explored on later albums in the 1980s. "Different Strings" is an acoustic number, with a piano part from artist Hugh Syme, who also was responsible for much of Rush's album art. It's an evocative number, and one that ends too quickly. The three-part "Natural Science" closes the album; it's another nod to the epic that traffics in your typical Rush-isms, including some fantastic drum rolls from Peart. Again, Rush defy all odds by combining expert musicianship, with complex and progressive writing and egg-headed lyrics into music that is somehow accessible and commercial. Their everyman approach to work through constant touring also earned them an absolutely loyal fan base who, in turn, rewarded the band with well-deserved success. Released on January 1st, 1980, the album reached No. 3 in the UK and No. 4 in the US. With Phil Collins in Vancouver attempting to resolve marital problems with his first wife, Tony Banks was the first to release a solo album. Guitarist/bassist Mike Rutherford was next, with an incredibly strong record in 1980's Smallcreep's Day. The album was produced by David Hentschel and featured former Genesis guitarist Anthony Phillips on keyboards—ostensibly returning the favor for Rutherford's appearance on his first solo album. The band was rounded out with Simon Phillips on drums and Morris Pert on percussion. And as the leadoff track suggests, the music is as close to Genesis as it can get-without being Genesis! The big difference is Noel McCalla's high tenor, which provides a different feel for the music; the listener can decide whether that's a good thing or not. "Time and Time Again" is the typical lush, sentimental ballad you'd expect from Rutherford, while "Romani" and "Overnight Job" contain both the notes and sounds that made Genesis' music from the era so good. Hentschel's production clearly has a lot to do with it; but then again, Rutherford too was responsible for much of Genesis' repertoire. The second side is encompassed by "Smallcreep's Day," the title of which comes from a novel by Peter Currell Brown. It's a dark, epic suite that evokes the book's post-industrial surrealism, yet it's full of hooks, bridges and instrumental passages that also compare to Rutherford's best work with Genesis. His fans took note: The album was successful, reaching No. 13 in the UK. In 1982, Rutherford would record a second solo album: the more conventional Acting Very Strange, perhaps most notable for its awful album cover. Rutherford would eventually achieve massive commercial success with Mike + The Mechanics in the mid-80s, alongside vocalists Paul Young (Sad Cafe) and Paul Carrack (Ace, Squeeze). Longtime rock impresario and Gong manager Giorgio Gomelsky found himself in New York in the late 70s, partially involved with RCA/Utopia records, but also arriving at the beginning of the "no wave" movement. He started the Zu Club; and a young Bill Laswell, along with drummer Fred Maher and keyboardist Michael Beinhorn, formed the house band. At the invitation of Gomelsky, Allen traveled to New York City in 1978 to be part of the Zu Manifestival in October, and enlisted Laswell and friends as his backing group. A busy lot, they toured Gong's trilogy music in 1979, and recorded an album of original material as New York Gong. 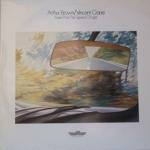 About Time saw release on Charly Records, and was the first of many records from their sessions together. While the mix of young New York musicians and an old psychedelic legend might seem unlikely, it's a testament to Allen's genius that the record holds together so well. Allen rants over the percolating blurbs and beeps of "Preface," before the album ignites with the sardonic wit of "Much Too Old." The musical twists and turns may be familiar, but the band offer an edgy work that looks surprisingly forward. The instrumental "Materialism" offers proof of Laswell's budding (and dubbing) genius. "Strong Woman" offers a poignant lyric, while "Jungle Windo(w)" features saxophonist Gary Windo. Future collaborator Mark Kramer lends a pair of hand on the closing "Hours Gone." 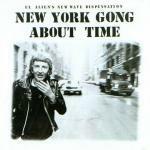 A tour of Europe in 1979 proved to be New York Gong's undoing, however the band amicably parted ways with Allen. Laswell and company famously continued as Material, while Allen, undeterred, armed himself with tapes and videos to embark on a solo tour of the US and Canada in 1980, dubbed the Divided Alien Playbax. However, when the tour ended, he returned to his native Australia and his family for semi-retirement in Byron Bay. Legend has it that, in the late 60s, Daevid Allen found Didier Malherbe playing a flute and living in a cave in Deya, Majorca (though they'd met before in Paris in 1967). No matter: Malherbe spent the next decade playing wind instruments with Gong, eventually parting ways after an album into Gong's so-called Pierre Moerlen era. 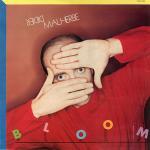 Back in Paris in the late 70s, Malherbe—or rather "Bloomdido Bad de Grass," as he was known in Gong—formed a band of his own, and recorded an album named after his moniker, Bloom, for Tapioca Records. After a few opening honks, "Bateau-vole" ("Flying boat") leaps off the groove, revealing a most capable fusion band. If you thought Gong's Gazeuse! was a jam, look no further than this record for more. Anchored by Jano Padovani on drums and Winston Berkeley on bass, soloists Malherbe, guitarist Yan Emeric Vagh and keyboardist Mico Nissim all deliver perfectly-executed performances. "Whiskers," featuring Peter Kimberley on bass, presents a more formal structure, but one similarly electric and very melodic; these are rich, complex ensemble arrangements that never get fussy. Malherbe and Kimberly both offer vocals on "Give A Chance To To-Morrow;" the song and its lyrics veer toward the Gong canon, offering a not-so-serious take on some seriously good music. Emeric's "Dan Dan" is the lone non-Malherbe composition, and chiefly features his stellar guitar playing. Malherbe's epic "Suite a tout de suite" closes: an eclectic mix of acoustic guitar, sax and electric piano. Bloom is a phenomenal album, offering yet another look at the remarkable talent that was Gong. Malherbe would next record an album with Emeric in 1981, though it would only see limited release on the GAS/Ottersongs label. He would then team up with ex-Zao (and former Magma) keyboardist François Cahen in Faton Bloom during the mid-80s. 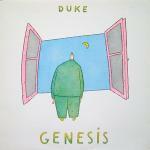 With solo albums out of their system, Genesis regrouped in late 1979 to record what would be their next album, Duke. The album marks a stark difference from their 70s output—and it's not only the cover art from illustrator Lionel Koechlin that stands out. The album continues the songwriting collaboration between Phil Collins, Mike Rutherford and Tony Banks that began with their last album. But when offering their self-penned songs, the trio seem to try to outdo themselves with commercially-viable hits. "Behind the Lines" successfully conveys the transition, while also providing an ample rocker with good hooks. The ensuing "Duchess" ticks away under a drum machine, something Collins would return to quite famously, and a treat to see him manipulate live in concert. "Man of Our Times" benefits from a choppy drum beat and heavy production (again from David Hentschel), despite the obvious hook in the chorus. "Heathaze" and "Cul-De-Sac" sound as though they could have been outtakes from their previous album, while "Alone Tonight" and "Please Don't Ask" contain the throwaway sentimentality that would propel Collins to mass popularity in the 80s. The second side ends with a blistering pair of instrumentals ("Duke's Travels/Duke's End") that was to be part of a larger suite of songs from the album, entitled The Story of Albert. It was performed live, however, on the band's subsequent tour. But following in the footsteps of "Follow You Follow Me," two tracks on the album provide all the controversy for fans of Genesis' progressive era: Anyway you look at it, "Misunderstanding" and "Turn It on Again" are a pair of pop hits, and there's not much else to say about them. The former reached the Top 10 in the UK, while the latter would creep into the US Top 20. Duke was Genesis' first No. 1 album in the UK and reached No. 11 in the US, while also earning the band their first of many platinum awards. The band spent late March through the end of June on tour in the UK and North America. Arthur Brown and Vincent Crane first performed together in The Crazy World of Arthur Brown, somewhere towards the beginning of the timeline. However, a decade later, during the sessions for one of the Richard Wahnfried albums, the pair offered their Faster Than The Speed of Light record to Klaus Schulze. Seeing as the duo weren't "boring old farts" Schulze coalesced, releasing the album on his Innovative Communications label—one better known for Neue Deutsche Welle and electronic music. With compositions from Crane and lyrics from Brown, the album is a concept record, having to do with the topic of sanity, or the loss of it. Crane handles piano and keyboards, while Clifford Venner contributes drums and other percussion. Brown's voice is forceful and to the fore in the mix. Bold and rich, the album is also a relatively contemporary one; though its sonic icing is Crane's brilliant orchestration (and conducting), performed by the Frankfurt Symphony Orchestra. The opening track, "Nothing We Can Do," is full of majestic drama, including the hook of "Storm Clouds"—pure Vincent Crane. "Timeship" follows, both contemplative and driving; and the playful "Come and Join the Fun" wraps up. The second side highlights the duo's soulful writing on "Tightrope." The album's title track closes, reprising the grand arrangements of the first side. It saw limited release in Germany, and predictably sold very few copies. In the early 80s, Crane reformed Atomic Rooster for a few years, while Brown immigrated to the US and began a career as a house painter in Austin, Texas. The album was first reissued on the Blueprint label in 1996, but ceteris paribus: The original tapes were lost and the CD was mastered from—if you can believe it—a scratchy vinyl record. Hints at Peter Gabriel's new musical direction came to light in February 1980, with the release of the single, "Games without Frontiers" b/w "Start/ I Don't Remember." Recorded with the album the previous summer, the title is a reference to the UK game show Jeux Sans Frontières. The single was well received, reaching No. 4 in the UK and No. 48 in the US. 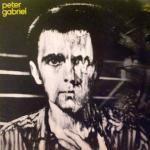 But the album, again titled Peter Gabriel, was even more successful, topping the UK chart and rising to No. 22 in the US—where it was released by Mercury Records, after being rejected by Atco Records! As the opening track "Intruder" attests, the new direction is nothing short of revolutionary. Built on a drum pattern played by Phil Collins, it's the first example of the now-legendary "gated reverb drum sound" that would define 80s rock production. Obviously, Gabriel made some crucial choices in enlisting the services of producer Steve Lillywhite and engineer Hugh Padgham to create this "new" sound. 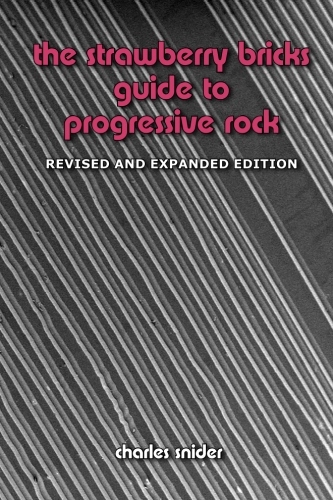 To say that Gabriel breaks ground here is an understatement; he offers an entirely new take on the progressive, one rooted in a new, modern aesthetic. Cymbal-less, angular and decidedly forward-looking, the tracks rely more on the technology used to construct them for their identity, than with traditional composition or performance. Gabriel's subject matter is darker too—whether self-evident on a track like "Family Snapshot," or more oblique, as on "No Self-Control" and "Games without Frontiers." "I Don't Remember" features Tony Levin's massive Chapman stick (his only contribution to the album), while "Not One of Us" bounces over John Giblin's nimble bass. The album ends with "Biko," a moving tribute to the South African anti-apartheid martyr. It also points to another significant chunk of Gabriel's new direction: world music. In parallel to his music career, he would dedicate significant effort and resources to his Real World Studios and label. Again, he went on a successful tour (dubbed China 1984) to support the album, with guitarist David Rhodes now part of his band. Also, in a somewhat novel marketing move, Gabriel released the album entirely sung in German, as Ein Deutsches Album. When Tangerine Dream next appeared in January 1980, it was at a concert in East Germany; they were one of the first Western bands to perform there. The addition of keyboardist Johannes Schmölling returned the band to its trio format; though it ultimately would provide even further distance from their 70s style as they forged ahead into the new decade. 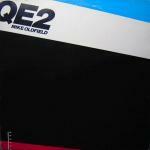 Of course, the technology of electronic music was now rapidly changing. The 1980s saw the rise of digital and sampling technology, which effectively changed "sound design" forever. Gone were the Dream's free-wheeling analog trips of the past, and in was something more calculated and composed. 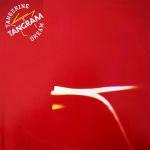 Containing two "sets" over both sides of the album, Tangram maintains Tangerine Dream's high standard throughout. Some of the themes can be heard on the aforementioned concert, released as Quichotte in 1981, on the East German Amiga label. The music, however, is more compartmentalized, with distinct sections expertly sewn together. The big change is, obviously, Schmölling. A classically-trained musician and degreed sound engineer, his contribution to the band is vastly different than former member Peter Baumann's. Here, the music is restful and perhaps even a bit conventional in places. But none of this is to say that it's new age pap—that would come much later. Mood is still the band's strong suit; and over the course of the record, Tangerine Dream cover the entire gamut: from sequenced fury, to meditative digressions to more formal compositions. Again, the album charted in the UK, rising to No 36. Toward the end of the year, Virgin Records would release a four-album, career-spanning compilation, ‘70-‘80, which included one side of previously unreleased material. Harald Grosskopf first appeared early in the timeline as the drummer for Wallenstein, playing on their first four albums. He then performed with Klaus Schulze off and on in the mid-70s, before joining forces with Manuel Göttsching and Lüül Ulbrich in Ashra in 1978. 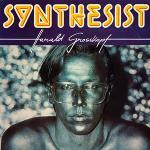 Grosskopf got the opportunity from Sky Records to record his first solo album, Synthesist, in 1980. With only a Mini-Moog, sequencer and a somewhat legendary eight-track tape machine, he retreated to the Krefeld home of Udo Hanten (one half of the soon-to-be electronic group, You). The shimmering "So Weit, So Gut" ("So Far, So Good") opens the album with a punch. Aided by Hanten, it's as fine an example of electronic rock as any. Grosskopf's metronomic beat locks in sync perfectly with the sequencer, providing a trance-inducing groove. "B. Aldrian," dedicated to the astronaut, undulates in washes of electronic keyboards; while "Emphapsis" and "Synthesist" slow the beat, and approach a more traditional song-form. "Transcendental Overdrive" contains one wicked (and early) break-beat, the live drums frantically in step with the machines. But whether creating the darker vibes of "1847-Earth" or the more ethereal bliss of "Trauma," Grosskopf is ever proficient at his craft, evoking the appropriate mood and texture. While he may have taken good notes from his mentors, Grosskopf comes out of the gate with a classic album of electronic music. Adorned with an iconic cover, the album is an absolute must-have of the genre; and has since rightly attained cult-classic status. By the album's release though, Grosskopf had moved on to other pastures; namely, providing drums for German New-Waver Lilli Berlin. A final solo album for Sky would appear in 1986. Fred Frith was best known for his unique approach to guitar playing as part of the equally unique Henry Cow, and later Art Bears. Frith had released a solo album in the interim, Guitar Solos (a series of improvised—you guessed it—guitar solos), and a final album with Henry Cow in 1979, Western Culture. For Gravity, Frith teamed up with two Rock In Opposition stalwarts for another look at song-form, dance music and, of course, the avant-garde. On the first side of the record, Swedish group Samla Mammas Manna guest, and the results are a potpourri of ethnic music, improvisation and all the weirdness one might expect from Frith. There's even a golden nugget of prog rock buried inside the brilliant "Norrgarden Nyvla." Lars Hollmer's accordion is a treat, as is Frith's violin. The second side features members of the US band The Muffins, to similar effect. In particular, the deconstruction of "Dancing in the Street" is ridiculously avant-accessible, culminating in a frenzy of tape manipulation before fading with a meandering guitar line. But the following "Slap Dance" is certainly more palatable. The album was released on the US label Ralph Records, perhaps best known for signing The Residents. The following year saw the release of another similar album, Speechless. Here Frith teamed up with another pair of RIO bands, Etron Fou Leloublan and Massacre. A final record for the label, Cheap At Half The Price, would appear in 1983. Originally intended to be an Ian Anderson solo album (hence the title), Anderson and guitarist Martin Barre were forced to dump the previous lot of the band in order to present the new lineup that recorded the album as Jethro Tull. Bassist Dave Pegg marks his debut on the record, along with American Mark Craney on drums, who at the time was best known for his work with Tommy Bolin and Jean-Luc Ponty. But the real change is the addition of keyboard and violin wiz Eddie Jobson; fresh from a defunct U.K., who had opened for Tull's previous US tour in 1979. 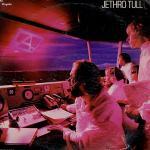 Thus constituted, the group went in a new direction on A—even if it was only under record company pressure that it was released as a Tull album. 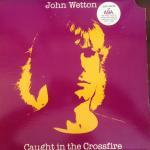 As the record begins, the first sound heard is Jobson's electronic piano that opens "Crossfire." Immediately, there's a different sonority from the tried-and-true Tull formula of the past, one replacing piano and organ with a palette of digital keyboards. But with shifting time signatures and processed multi-tracked vocals as further evidenced on the high-flying "Flyingdale Flyer" and the complex "Black Sunday," the album still sounds like Jethro Tull. After all, solo album or not, it was all written by Anderson. Released as a single, "Working John, Working Joe" b/w "Flyingdale Flyer" benefits from Jobson's keyboards, as does the quick-tempo "Batteries Not Included." Pegg's bass tone is decidedly modern (for 1980), while "Uniform" adds some of Jobson's violin for more than good measure. Overall the album offers a contemporary edge for Jethro Tull, one that even pulls the traditional "The Pine Marten's Jig" from disaster. However, the album's reception was tepid; it dropped out of the Top 20 in the UK to No. 25, and reached only No. 30 in the US. The band toured through the balance of the year and into 1981. In 1979, manager Brian Lane resuscitated the brand name of Yes by injecting two musicians from a slightly different ilk to the core group of Chris Squire, Steve Howe and Alan White. As The Buggles, Geoff Downes and Trevor Horn had just scored a No. 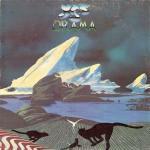 1 single in the UK and elsewhere with "Video Killed the Radio Star" b/w "Kid Dynamo;" but as a studio-only project, they found themselves ensconced in the same studio space as Yes, languishing over a follow-up. Long-time fans of Yes, they offered them a song, "We Can Fly from Here." Squire was impressed, and offered the two jobs in Yes. 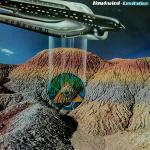 Thus constituted, the band even brought back Eddie Offord as an engineer, and Roger Dean for the album cover. "Machine Messiah" breaks open the record with a heavy guitar riff, immediately offering a harder edge than any of Yes' previous two efforts. Horn's voice has a similar tone and range as Jon Anderson's, especially when coupled with Squire's background vocals. Downes is also proficient, armed here with an arsenal of proggy keyboard tricks. But without Rick Wakeman and Howe competing for musical space, Squire's (and ostensibly, Horn's) production is much clearer, with White's drumming a standout; the song's arrangements evolve with greater direction. "Into the Lens" and "White Car" provide a compositional link to The Buggles, while the previously-written tracks "Does It Really Happen?" and "Tempus Fugit" fly along Squire's powerful bass line. Drama was well-received, reaching No. 2 in the UK and No. 18 in the US. But simply put, Yes fans weren't that impressed in concert; and after the album's promotional tour, the band fell apart. Howe and Downes were off to big success in Asia, while Squire and White would record one single, "Run with the Fox" b/w "Return of the Fox." A proposed collaboration with Jimmy Page and Robert Plant of Led Zeppelin (XYZ) was aborted, however, a happy ending for all was just around the corner with Cinema.